CytoDyn has contracted Samsung BioLogics to produce the drug substance for its candidate leronlimab and says it will need at least two CMOs once the HIV inhibitor is approved. 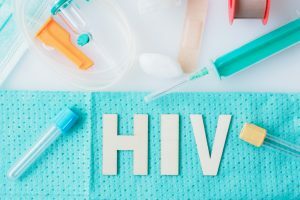 CytoDyn’s lead candidate leronlimab (PRO 140) has demonstrated antiviral activity and shown to significantly reduce viral burden in people infected with HIV in Phase II clinical trials. The fully humanized IgG4 monoclonal antibody blocks the predominant HIV (R5) subtype entry into T-cells by masking the required co-receptor, CCR5. The firm has filed with the US Food and Drug Administration (FDA) the non-clinical portion of its Biologics License Application (BLA) using the FDA’s Rolling Review process and has begun ramping up production of the monoclonal antibody through a contract with Samsung BioLogics. Under the terms of the agreement, the Korean contract manufacturing organization (CMO) will produce approximately $1 billion (€900 million) worth of leronlimab drug substance, based upon projected revenues of $120,000 per patient per year, from its facilities in Songdo, Incheon. “We are going to need a very large amount of leronlimab if our monotherapy is approved,” CytoDyn’s CEO Nader Pourhassan told Bioprocess Insider. Pourhassan added this is projected to be about $5-7 billion worth of leronlimab per year, “and Samsung [BioLogics] is on the top of the list of top manufacturing in the world. The contract could last until 2027, but if leronimab is approved Samsung BioLogics will not be the sole manufacturer of the drug substance. According to Pourhassan, approval could come by the end of the year or Q1 2020. As of May 31, 2018, CytoDyn had negative working capital of approximately $13.4 million.